Family-owned and -operated LaBell Exchange offers customizable and affordable phone answering services in Palm Springs, California. Our 24/7-call center has served thousands of commercial clients throughout the Southern California area for nearly 40 years. We can assist you with all your call-related needs, from answering local and toll-free phone lines, to taking orders and messages, to setting up voicemail trees and individual accounts. We've assisted on both short-term and long-term projects (seasonal flu campaigns, inbound telemarketing, consumer eligibility for product recalls, etc. ), and work regularly with clients in the medical/dental, legal/criminal defense, plumbing/HVAC, property management, municipal, and service industries. For information and pricing, call us today. Boasting a highly trained team of professional phone operators and state-of-the-art telecommunications technology, we offer a wide range of high-quality call center services. We have won industry awards for our exemplary customer service, level of courtesy, and telephone response times, but continue to offer our customizable packages at highly competitive rates for our clients in Palm Springs. Each of our Palm Springs customers is given a dedicated voicemail box that they can customize as they wish. Calls can go directly into voicemail or be sorted via a voicemail tree. Your voicemail messages are retrievable from anywhere 24 hours a day and can be password protected. LaBell Exchange can act as your company's virtual receptionist. Working with custom scripts, our professional operators will represent your Palm Springs business, answer your phone calls, manage your calendars, forward calls, take messages, and more. This is a great option for businesses that have yet to determine whether they need a full-time or part-time receptionist or that wish to always be accessible and give a highly professional appearance to their clients. Our trained staff has guided callers through all kinds of surveys for projects in the municipal, medical, dental, legal, educational, and commercial fields. By working closely with you to develop a custom script, our operators can handle your phone surveys with the utmost professionalism and accuracy. Survey calls can be recorded for quality assurance and results can be provided on an on-going basis or at pre-determined intervals. 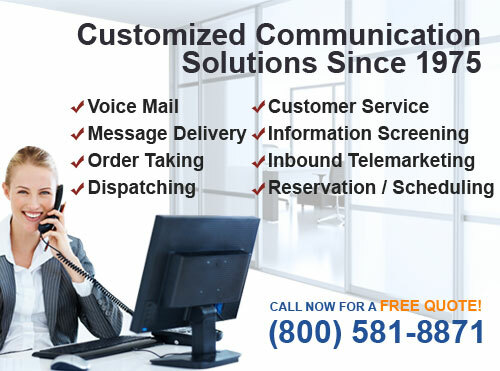 We provide our Palm Springs clients with many customized options for message and order taking services. For orders, we can either input them directly into your company's website, or place the orders in our own internal system. Orders can be submitted on-the-spot or in batches, using special order forms we create to suit your business. Our professional telephone answering packages include advanced message delivery. Palm Springs businesses can ensure that they never miss a call with our 24-hour answering service and receive their messages according to their preferences. Messages can be delivered immediately or in batches, and send via email, text, phone, or fax. For our Palm Springs clients, we provide urgent and after hours dispatch services. We've dispatched tow trucks, HVAC technicians, delivery trucks, taxicabs, plumbers, and more using cell phones, 2-way radios, and tablets. 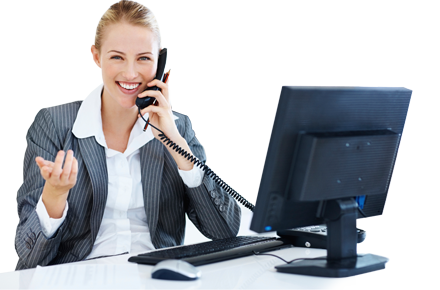 Our telephone operators are highly regarded throughout Southern California for their competency and courteousness. They listen carefully to the caller and accurately record all of their pertinent information, and ensure that our clients representatives out in the field are properly dispatched. LaBell Exchange provides award-winning customer service for businesses and organizations in Palm Springs, California. We've been recognized by the Association of TeleServices International (ATSI)--the national trade association for our industry-seven years in a row for our high level of customer care, accuracy, and fast response times. Whether you are looking to have our phone operators provide excellent customer service with every inbound call or wish to have us serve as your entire customer service department, LaBell Exchange has the expertise and capabilities to meet your needs. LaBell Exchange's trained telephone operators are skilled in guiding callers through comprehensive screenings and questionnaires for our Palm Springs clients. Information screening is usually integrated into phone answering protocols or designed to make one's business more productive and cost-efficient. We can also take messages, answer questions, and direct callers to appropriate departments when they require further information. LaBell Exchange's large team of operators and state-of-the-art call center has the capacity to handle all of your inbound telemarketing needs in Palm Springs. Our staff has worked with clients on numerous projects that require live-person follow-up. Usually our inbound telemarketing services are used when additional marketing efforts are expected to cause a surge in call volume, but can also be used to manage orders, sign-ups, and registrations. Our phone operators can schedule reservations and manage calendars and appointments for any Palm Springs business. We've handled reservations and schedules for both short-term and long-term projects, such as events, conferences, seminars, and campaigns. This can be provided as a stand-alone service or as part of a larger answering service package. LaBell Exchange provides a diverse array of call center services for property management companies in Palm Springs. We work with many apartment complexes throughout Southern California, and are experienced in handling after hours emergencies for tenants. If a tenant has a late night plumbing or electrical problem, for example, our operator can reach out to the appropriate contact and have a person sent out to take care of the problem. We can also provide rental information via a combination of automated attendant and live operator services. Our staff can provide property listings, inform callers on the availability of a certain unit, and more. For voicemail services, we work closely with our clients to create personalized greets, voicemail trees, hold prompts, and more. We work closely with our medical and dental clients in Palm Springs to provide personalized call center services. Our professional phone operators are highly experienced in working with patients and are capable of providing helpful information, taking messages, directing callers to voicemail, or notifying the on-call nurse or doctor when there is an emergency. We also understand the importance of patient confidentiality, and are thoroughly familiar with HIPAA and how to safeguard patient's private information. Whether you want a virtual receptionist to fill in during your lunch hour; an operator to take messages during the evenings and weekends; or 24/7 call routing service, our answering company has the technology and staff to meet your needs. Our call center provides comprehensive telephone answering services for a wide range of businesses and industries in Palm Springs. This includes bail bond, plumbing, HVAC, equipment rental, towing, legal, municipal, and healthcare companies. Whether you just need a dedicated 1-800 number with voicemail or require phone answering support 24 hours a day, our call center will customize its services to meet your unique needs. 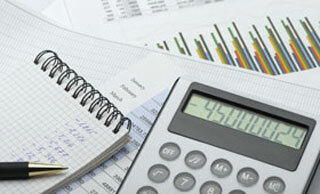 All services are charged according to usage and contracted on a month-to-month contract basis. With thousands of satisfied customers and nearly 40 years of experience, we know how to provide the best answering services in Palm Springs.